I don’t know if it’s a southern thing or just a Texas thing, but here we love our cowboy boots. We are completely crazy about them! Unfortunately, although I was born and raised a Texas girl, I have never owned a legit pair of cowboy boots, which is a complete travesty! One factor that has played a huge role in my wanting to get a nice pair of cowboy boots is the university that I attend. 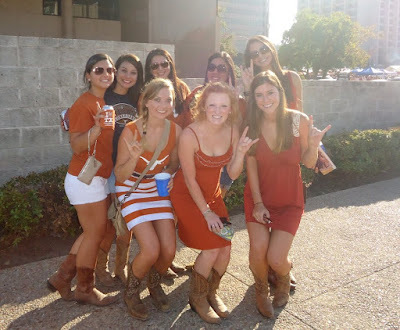 Here at UT during football season, it’s almost like a tradition for girls to wear their cowboy boots with their burnt orange attire. 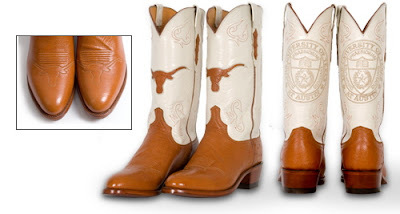 Since I am a HUGE fan of the Longhorns, I feel that it is my duty to participate and buy a legit pair of boots. Ever since my freshman year, I have been drooling over a specific pair of cowboy boots. 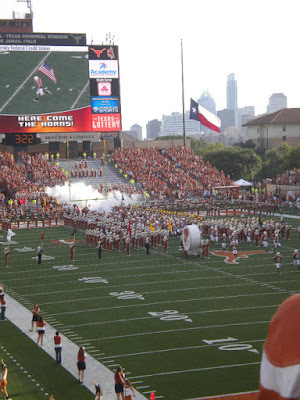 The University of Texas at Austin Co-op and UT Student Government has a boot that is exclusively designed by Lucchese. They are made of smooth quill ostrich and 100% of profits from the sale of the boot go to the University Co-op Student Government Scholarship Fund. Real cowboy boots are expensive on their own, but when you put Longhorn affiliated symbols on boots, the pricing is over the top! At first I couldn’t imagine paying $350 dollars for a pair of boots, but over time I have justified pulling out the big money for them. Although I may only have one year left of college, I know these will be put into good use. I would wear them to all the home football games, whenever I decide to go dancing at a two-stepping venue with my sorority sisters, and I can use them for graduation pictures. Even after I graduate college, I have no shame in putting on my boots and wearing them whenever there's an appropriate occasion, like during rodeo season. Texans are crazy about their football and their boots. 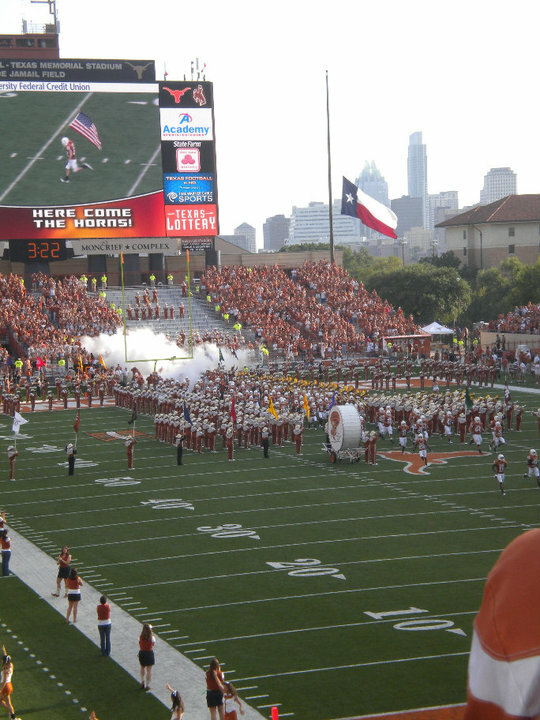 Home game at UT! Beyond all of those things, these boots will serve as an important memorabilia piece for me. College hasn't been the easiest. It’s been filled with lots of blood, sweat and tears. From pulling all-nighters to declaring my major, it has been a rough road and I’m still not done. These boots will remind me of my college experience and that I actually made it! When I walk pass the Tower when going to and from classes, especially during times of stress, I remember this quote. "Sometimes you need to step outside, get some air, and remind yourself of who you are and where you want to be." 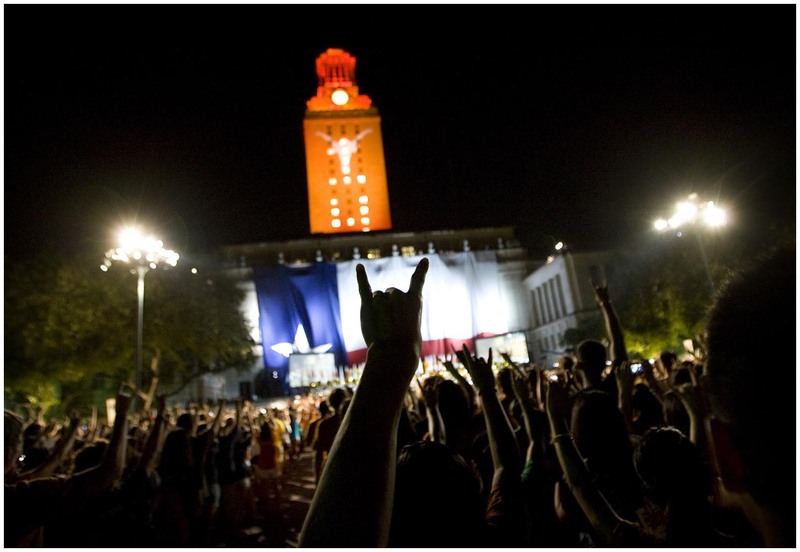 I know I’m here at The University of Texas at Austin for a reason and purpose. These boots will always remind of that purpose. Are there any expensive memorabilia items that you have on your shopping wishlist? I'm in the same boat as you. I am going to be a senior and still don't have a pair of really nice cowboy boots! Definitely think I have been procrastinating cause they are so expensive and I wouldn't get to wear them all the time. I just need to indulge! 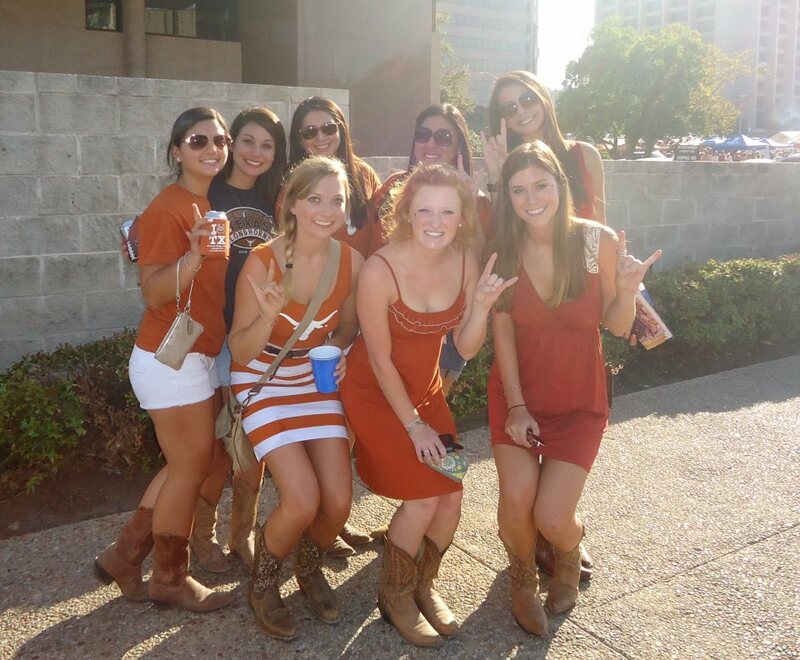 Even though I am an Aggie.... those boots are cute!